If you actually stop to think about it learning to read is a complex skill to acquire. There are all those sounds that you must learn to recognize and blend, not to mention learning all those tricky words that break all the rules that you have just committed to heart. Even knowing all of this is not enough! You then need to learn and understand the conventions of print (how words are written and read in the English Language). Why do children need to use their finger when reading? Needless to say, none of this actually comes naturally to a child. They generally don’t see adults doing any of these things. As adults we use “visual tracking” to make sure that we are going in the right direction. When you show a beginner reader a story they start jumping around the page to search for meaningful words and sounds. Correct directional tracking need to be taught. 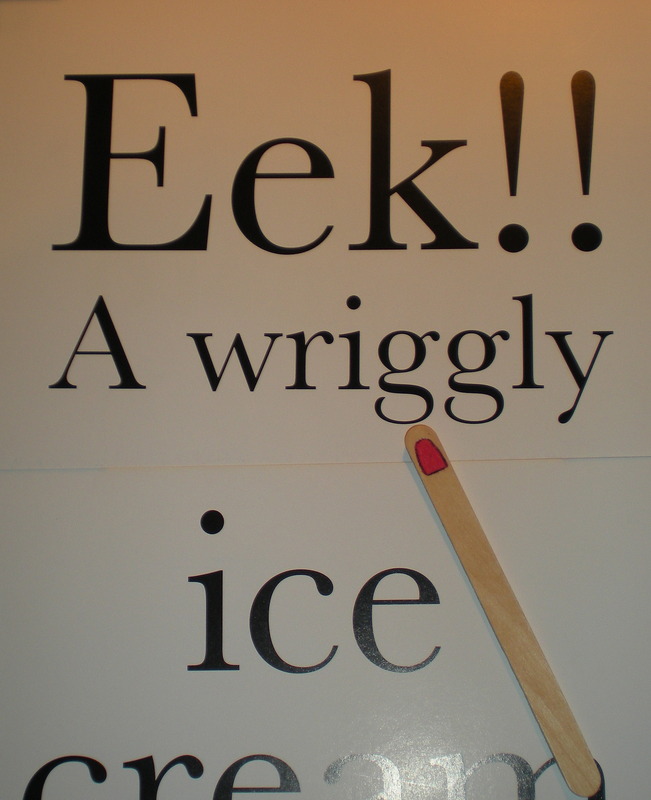 Point to each word as you read to your child at night. Even use his/her finger by holding it and moving it along. “Jazzing” it up a bit! Sometimes it is best to bring in a novelty factor to get things going in the right direction. Using your own finger is fine and functional, but wouldn’t you prefer a “Magic Finger”? !I always like to use these when I taught beginner readers. What do you think? It is basically a lollipop stick, that I drew a cuticle shape onto and coloured in with a marker. My class always loved them! Sometimes, tapping this “Magic Finger” along was easier than using their own finger. The physical action of moving either a finger or a “magic finger” really helps children to remember and internalize correct reading directionality. Eventually your child will out grow the need to “finger point” when reading. Until, he/she begins to naturally do so I would tend to allow the finger tracking to continue. Older children who struggle with visual tracking ;however, tend not to like using fingers, magic or otherwise. A cocktail stick is more discrete and just as useful. I hope that you find this useful. I shall be following this up with tips on how to help your child to track in a straight line. Be sure to pop back for updates.